Historic postcard of Gilman, Colorado. 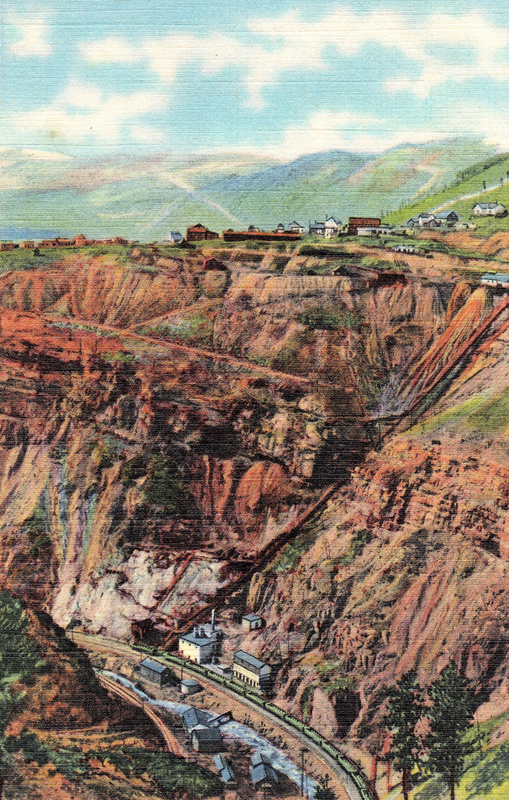 An abandoned mining town in Eagle County, Gilman was founded in 1886 during the Colorado Silver Boom and became a center for lead and zinc mining. Join us to hear the story of Gilman’s four phases: (1) Gilman as a 19th century boomtown. (2) Gilman as a model company town under the ownership of New Jersey Zinc. (3) Gilman’s role in fueling a thriving mid-20th century American economy. (4) Gilman as a toxic wasteland after 100 years of environmental degradation. Geoscientist and mining historian Steven Veatch will explore the town’s significance in the broader context of Colorado and western American history. He’ll present the archaeological record of Gilman along with rare photographs and videos that best illustrate the story of Gilman through the lives of ordinary people, surrounded by ordinary structures, who lived extraordinary lives. Steven Wade Veatch, a geoscientist, is known for his articles, books, and presentations on local history. His family came to Cripple Creek in the 1890s from England and worked in the district’s mines for over 40 years. Another branch of the family established a ranch in the wilderness near Boulder in 1865 and, later, moved to the Caribou mining camp where Veatch’s great-grandfather attended Caribou’s first school session in 1872. His grandfather was the private secretary for Spencer and Julie Penrose. Veatch holds a master’s degree in earth science from Emporia State University. He has taught earth science at Emporia State University and graduate geoscience courses for the Colorado School of Mines. A passionate speaker backed by a depth of expertise, Veatch is a frequent presenter and field trip leader for Pikes Peak Chapter/CAS. Contact Cynthia Doty at ckdoty@msn.com or call (719) 597-0871.